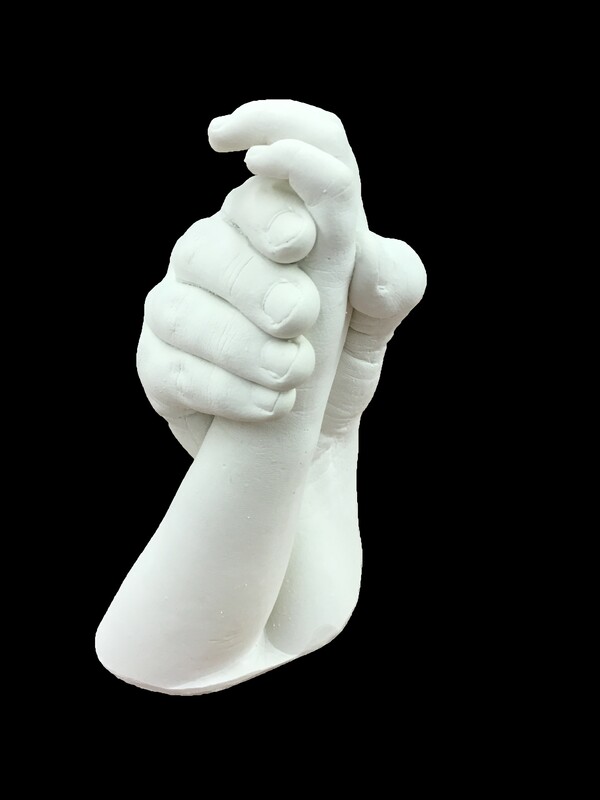 Life casting is the art of casting a mold from a part of the body and subsequently recreating that body part in some type of plaster, metal or cement. 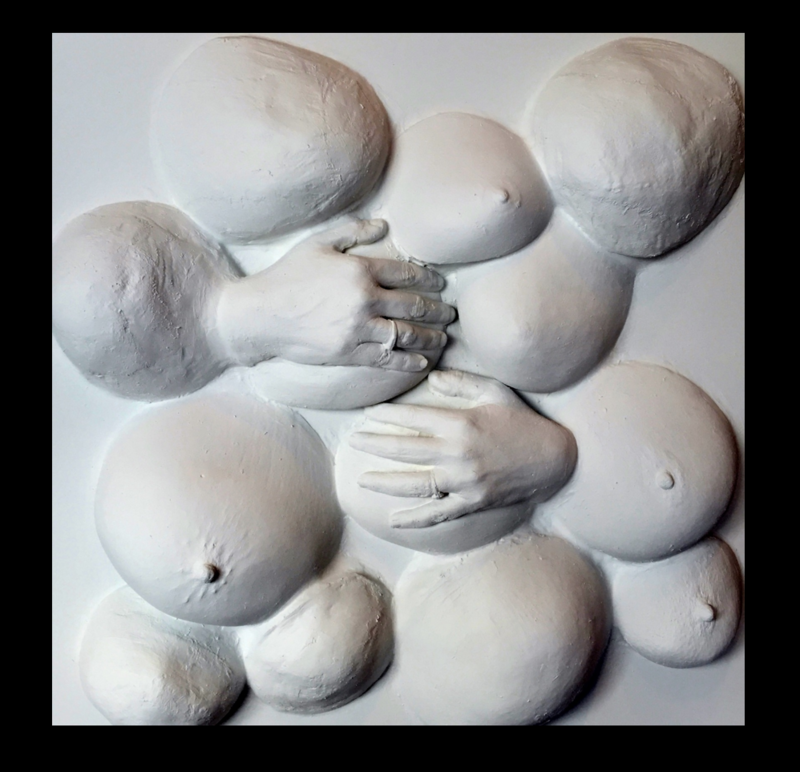 At Flydragon we recreate parts of the body by casting a mold either from Alginate (the same substance used at the dentist office for casting molds of teeth), or from plaster bandages. The plaster bandage method is generally used to create only the shape and size of baby bumps (pregnant bellies). 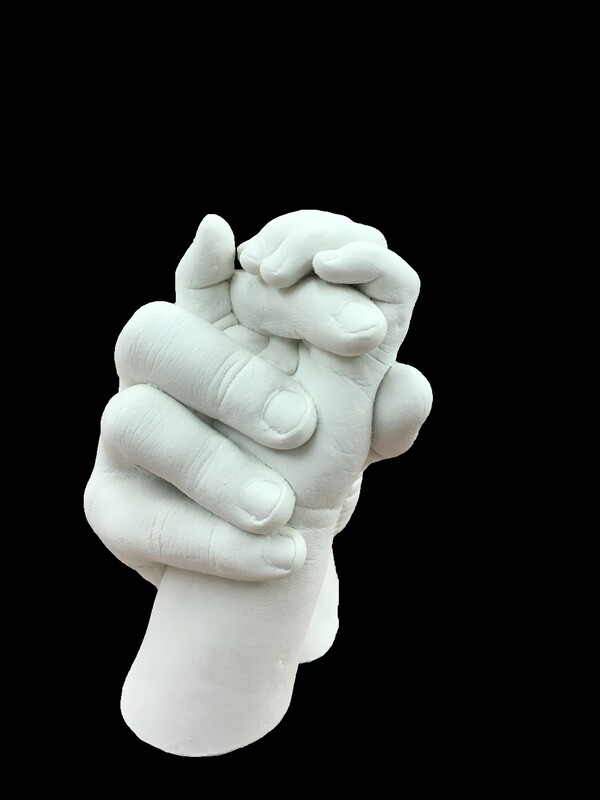 The final piece is light weight and can be painted, as desired, and later used as a prop for newborn photographs, often with the sleeping newborn cradled inside the belly. It's a very novel idea and popular among young parents. We can paint the belly shell for you with a design of your choosing, or you can finish the piece on your own. The final piece can even be hung in the nursery! 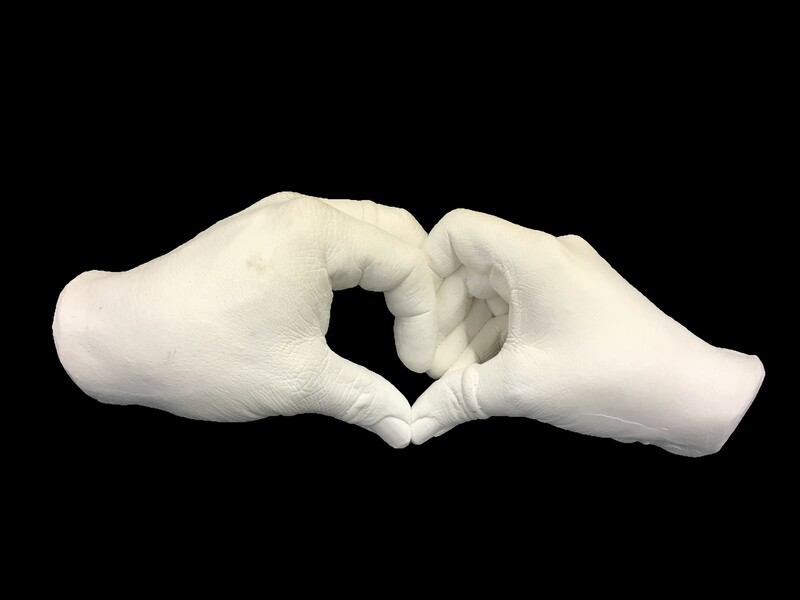 The Alginate method is used for all other types of casting at Flydragon. Alginate captures the skin perfectly! In the final piece you will see small details such as pores, hairs, wrinkles, and moles. We then pour plaster into the mold to create your final piece. 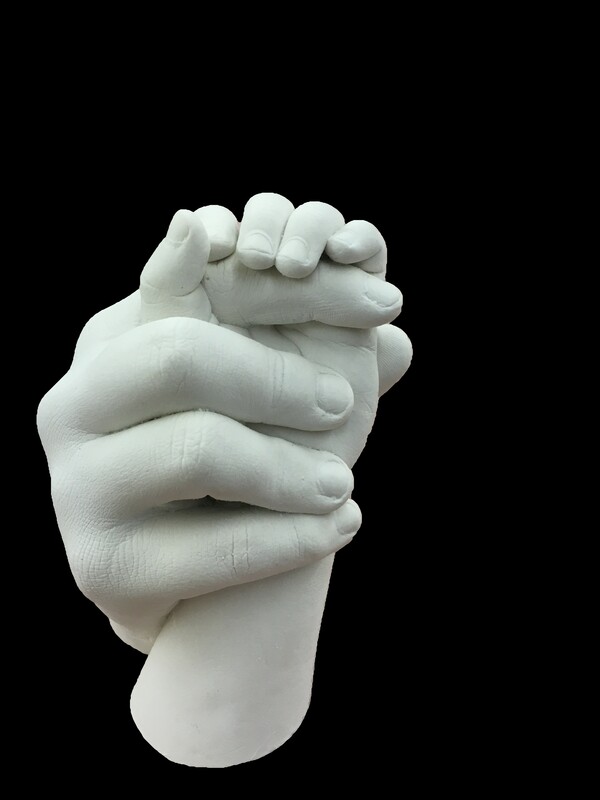 The type of plaster we use is Gypsum cement which is a combination of plaster, Portland cement and fine sand. Gypsum cement is quite durable and 10 times stronger than Plaster of Paris. With normal care your piece will last a lifetime! Your life casting session takes approximately 1-2 hours. Once we cast the mold, you are free to leave. We then prepare the plaster to pour into your mold which hardens in 1 - 3 hours. Your piece is then cleaned and inspected. Final curing of your piece will take approximately 48 hours. We will give you a call when it is ready for pickup. 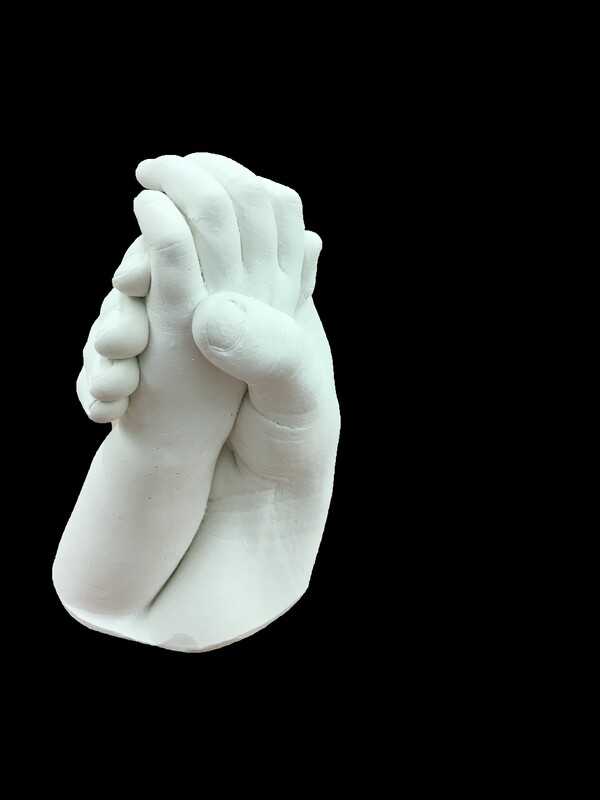 We can cast just about anything: hands, feet, clasped hands, torsos, baby bumps, faces, baby feet and baby hands. If you have an idea, run it by us! We will do our best to accommodate you. 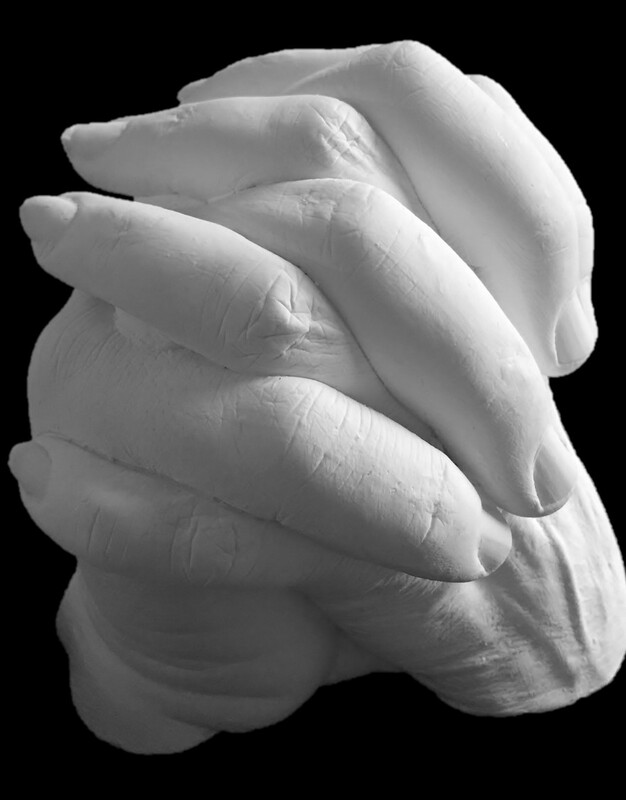 Call (307) 514-5547 to make an appointment for your private life casting session! Payment due at initial appointment. Finishes such as clear matte, clear satin, or paint, are $10-$25 extra, depending on the size of the piece and type of finish.